“The use of steel is fundamental to the value of the building. It is visibly integrated into the architecture to an extent that is highly unusual for a skyscraper, creating a powerful tectonic quality,” says Arup Director Nigel Annereau. On a day to day basis, Support can be fairly routine: which report do I run, what’s my login, why won’t this file import. Other times, it can be really challenging: trying to determine why figures do not balance, which Windows update has stopped emails from working, etc. And once in a while, we get to think outside of the box to provide a solution for a problem using functionality in a novel way that it was never intended to but it ‘just works’. Towards the end of 2017, a Customer asked if there was a way to set the Expiry date on Inventory for perishable items. Some of our Customers track absolutely all purchases through STRUMIS, not just steel. So it’s not uncommon to see Milk, Coffee, Toilet Rolls, and Personal Protective Equipment (PPE) in their Items & Inventory. The request was to be able to see/filter Inventory which was about to perish or had perished. Whilst there are no custom fields available on Inventory items where we could add a Date, as we talked through the issue we decided that the Item Classification would be a viable solution. Not only this but it provided additional benefits over being able to show if a piece of Inventory was reaching its expiry date. STRUMIS Support isn’t just there to tell you to switch your computer off and on again in the hope that it fixes your problem. It’s a dedicated team committed to helping you with any issues you may have. At STRUMIS we aren’t just a software provider, we are a business partner that is devoted to working alongside your company to ensure you are getting the most out of your investment. STRUMIS Support– 24/7 Customer Service that Works for You! What is arguably one of the most important factors for a company deciding on Steel Management Fabrication Software? That answer is simple for STRUMIS, and for us that answer is customer service. Not only do fabrication companies consider the technical aspects of the software when deciding if STRUMIS is right for them, but they also consider the following; its ease of use, the capabilities of the software and the speed at which current tasks can be improved. But mainly they consider how well we support our customers once they have purchased STRUMIS. With STRUMIS technical support teams around the globe, we are able to offer our customers a one of a kind 24 hour support service. We provide full and wide-ranging technical support solutions to our customers in a variety of ways. That means that if you are a fabricator with a quick question on importing your bill of materials from Tekla and it happens to be 5:00 AM in New York, our support team in the UK can assist you as it is only 10:00 AM there. Likewise, if you need assistance at any time of the day or night, our support staff is on call to help you. With offices in the Middle East, Canada, the Americas, the United Kingdom/Europe, China, South Africa, and Australia, our dedicated support staff are here to help you with any and all of your STRUMIS questions. Not only do we have a dedicated technical support team, but we also are happy to help our current customers by offering remote Q&A sessions if they wish to brush up on a certain topic. With nearly any topic you wish to learn more about, STRUMIS’ YouTube channel offers material and instructional videos. We also provide all-inclusive training manuals for customers that they can refer to at any time. If you are a steel fabricator looking for a comprehensive management software solution for your business, look no further than STRUMIS! business relationships with local builders and construction companies. We are moving to a much larger workshop and wanted to set the workshop and factory production control systems up for the future. We looked at various options but ultimately chose STRUMIS. The initial investment in training, hardware and software was a significant investment for us but once we attended the training course at STRUMIS HQ it became clear we were buying into a system that would manage our complete production process and deliver cost and time saving benefits for years to come. The training was excellent. Our trainer, Chris was the first to arrive and the last to leave and we never felt that time was an issue. We booked 5 days tuition split over two visits, the first section covering set up and estimating, the second production. Once you scratch the surface it becomes clear that STRUMIS has so much to offer. At our stage of business growth it is exactly what we wanted to invest our time and money in, a solution that would allow for our growth and expansion in the coming years. STRUMIS training is absolutely essential in order to appreciate the full benefits that STRUMIS can provide. Sometimes it is difficult to fully immerse yourself in STRUMIS training when running a business at the same time. However Chris’ experience meant that he was able to deliver the training in such a structured and methodical way that it made the entire process much more manageable. Make sure you have a week or two of uninterrupted time afterwards to switch from your current system. When you are busy its too easy to revert to the system you know rather than pushing on with the new one. Chris the trainer has been a legend and has been on hand to help with the set up over the phone and by email. The key advantage of STRUMIS for Arc Fab Sussex is that it will enable us to expand as a company and really future proof the processes and system we have in place for years to come. It will allow new members of staff to join the business whilst we utilise a tried and tested system which in turn will allow the directors to focus more time on developing the business. A general Credit which will impact the overall value of the goods but will not affect the Inventory value of any Purchase Invoice lines. A “Line Credit” which will be applied to a specific selection of Purchase Invoice lines and the Inventory values of which will be updated accordingly (so long as the new Purchasing & Suppliers option ‘Apply Purchase Invoice/Credit rates to Inventory’ is enabled). STRUMIS Ltd would like to wish a happy and prosperous New Year to all our customers, partners and contacts. 2018 also represents and celebrates 30 years of the STRUMIS software program, designed to help steel fabrication companies save time, money and increase efficiencies across their manufacturing business. As an early adopter of the STRUMIS program (formerly GoData) I remember the DOS programming tool providing a very simple and easy to use user interface for STRUMIS/GoData along with very quick data entry, this was in the most part due to the old F1, F2, F3, F4 etc method of selecting your next data entry key function, very simple, speedy and effective way of creating your bill of material lists inside STRUMIS/GoData, this was life before Mice! In the late 1980’s GoData was used by very few and only English speaking users who were mainly UK based. Things really started to take-off when STRUMIS Ltd (formerly AceCad Software Ltd) acquired GoData Ltd the company and GoData the DOS based software program in the late 1990’s. From that point onwards a program of continual development, which is today stronger than ever before, was embarked upon. As technology changed so did our focus. Continually re-investing in the most up-to-date technology was, has been and always will be the secret to the global success STRUMIS now enjoys as market leader. Foxpro was the next evolutionary step for STRUMIS where “GoData DOS” became “GoData Visual” and not much later a complete re-branding to “STRUMIS Visual” based upon Foxpro was the driving force allowing STRUMIS to go Global. 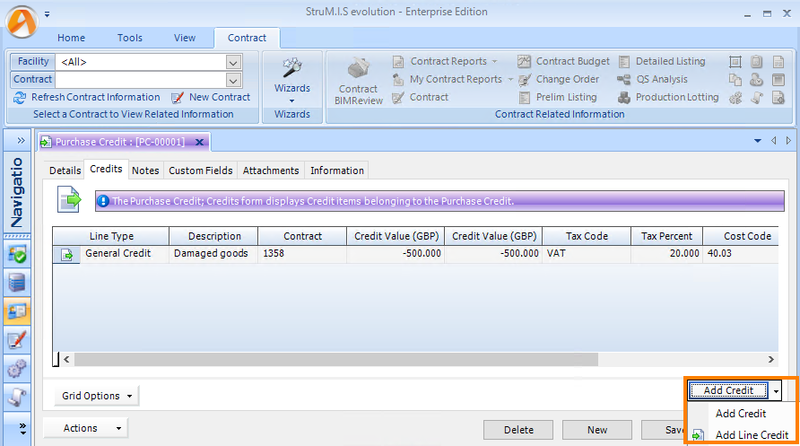 In 2004 STRUMIS again was re-invented and re-developed from the “ground up” utilising .NET technology. A four year development program heralded the latest and greatest STRUMIS.NET which brought about massive changes to what was an excellent STRUMIS Visual program with ground breaking flexibility and ease-of-use. Languages no longer took months to incorporate but days, the data search grids came alive with user “custom fields” handing over a level of development skill to our end users through the use of Infragistics Data Grid Control technology. Bar Coding was included for tracking parts and time keeping, interfaces with 3rd party accounts and MRP programs are standard, interfaces with most CNC machines was standard, connections with 3rd party plate nesting programs, the 3D BIMReview model interrogation & collaboration tool was included and a host of other features and functions to long to mention here which we could only dream of a few years earlier. As we listen to our customers’ needs, we learn. Simplicity, speed and ease of use is still critical. One of the newest features in the latest STRUMIS release is like going back to the 1980’s DOS days to some extent… we have included the option of material data entry whilst staying on the keyboard – no mouse required – just like the good old days. Now in 58 countries worldwide with thousands of users, I look forward to seeing where the STRUMIS 40th birthday celebration will take the program, the pace of evolution of STRUMIS is staggering and our imaginations are the limitations. As always, our customers – the steel fabrication companies – will drive the evolution and direction of STRUMIS, we simply have to ensure we provide the latest technology, whatever that may be, to ensure a future proof platform and program with unrivalled features for our customers to continue to benefit from their investment in STRUMIS.